Two of my favorite places in the eastern section of Great Smoky Mountains National Park are Purchase Knob and Hemphill Bald. In fact, I enjoy it so much that I volunteer every 10 days or so at the Appalachian Highlands Science Learning Center on Purchase Knob. And Hemphill Bald simply has one of the most outstanding views in the eastern Smokies, overlooking Cataloochee Ski Area, Maggie Valley, and the Blue Ridge Mountains far in the distance. What they share in common is the Cataloochee Divide. The divide is the ridge that separates Cataloochee Valley on the west from Maggie Valley and Jonathan Creek on the east. 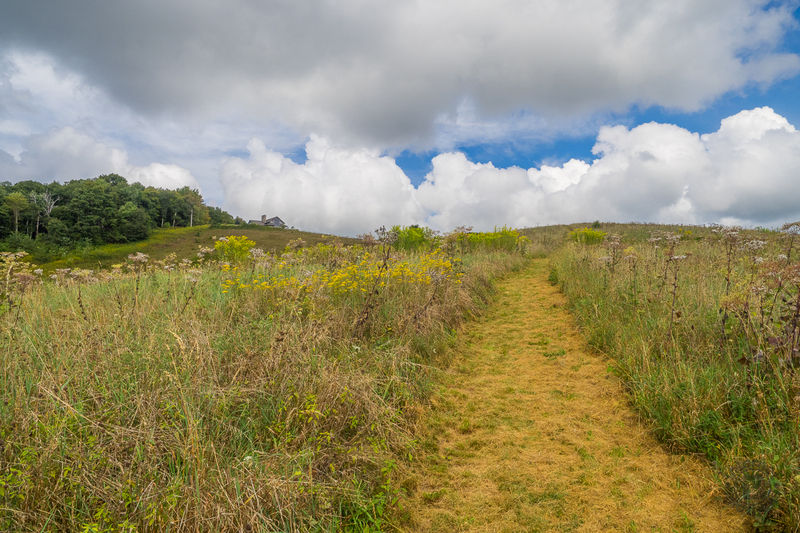 Purchase Knob and Hemphill Bald are connected by the Cataloochee Divide Trail that follows that ridge and runs from Cove Creek Gap in the north to Double Gap at its south terminus, a total of 8 miles. But the four-mile stretch between Purchase and Hemphill is what brings me back time after time. My most recent visit was on September 7, 2015. Arriving about 9:00 AM, I took care of my phenology responsibilities and then geared up for a hike to The Swag on the Divide Trail. It was a typical Smoky Mountains morning with cool temperature and fresh air. I detected just a touch of seasonal change with only a couple weeks left in summer. 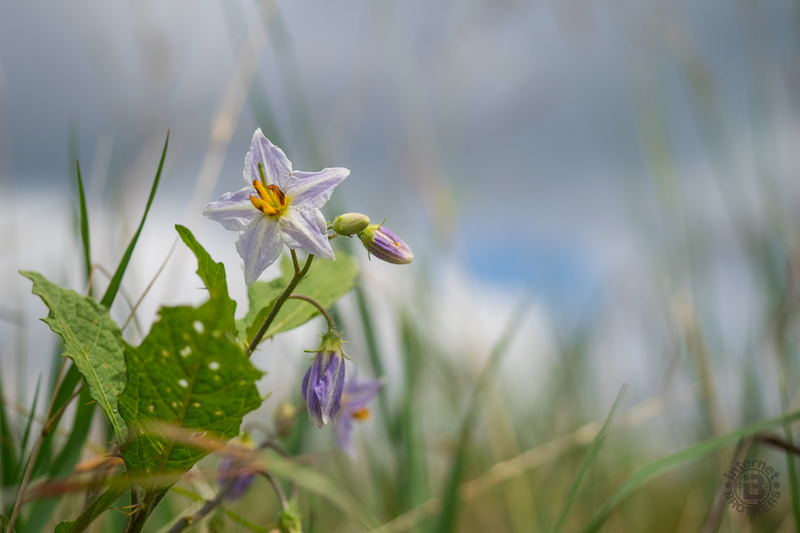 I hope you enjoy these recent photos from the Cataloochee Divide as much as I enjoyed the day. Feel free to leave your comments below the gallery. 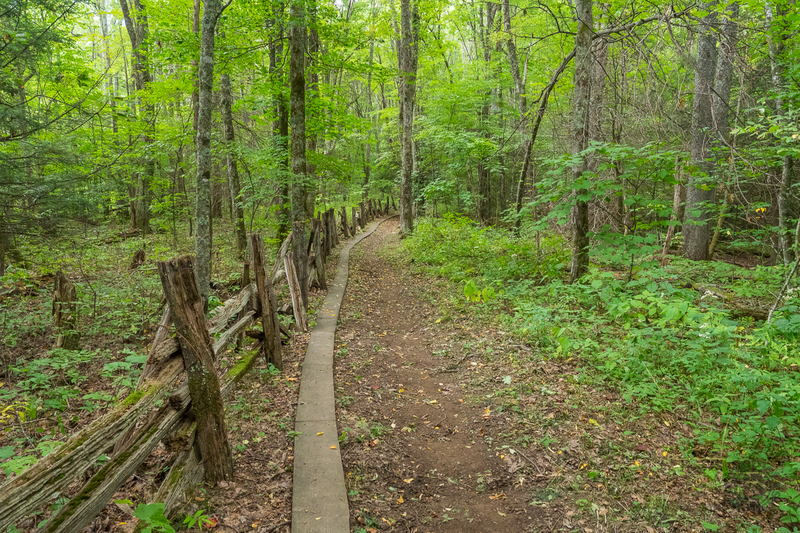 The Cataloochee Divide Trail follows an original locust split rail fence that denotes the eastern national park boundary. It passes through a mostly deciduous forest that is beautiful to look at no matter the season. About half way between Purchase Knob and Hemphill Bald is the bed and breakfast resort known as The Swag. The Divide Trail arrives at Gooseberry Knob on its way past the Swag. It’s a nice place to rest for a few and enjoy the fantastic scenery. As you approach the Science Center at Purchase Knob from below, you see how it is perched high on a hill, surrounded by all that is grand and magnificent about the Great Smoky Mountains.